On Thursday, November 10, 2016 NYC’s Bitter and Esters homebrew shop hosted an event featuring Derek Dellinger, author of The Fermented Man and Brewmaster of Kent Falls Brewing Company. Despite some camera battery and audio difficulties I was able to film Derek entire presentation. In turn, after sorting through the footage I decided to split it into three parts; a podcast episode focused on an overview of his year eating only fermented foods, a video about vegetable fermentation, and a video about Kent Falls Brewing Company. Book Synopsis: On January 1, 2014, homebrewer and writer Derek Dellinger began a journey that would change nearly everything he thought he knew about fermented food and beverage―and as a beer expert, he knew a lot. For an entire year, Dellinger would eat or drink only products that had been created by microbes. Exploring the vast world of fermentation, Dellinger became the living embodiment of its cultural and nutritional power―he became the Fermented Man. In this entertaining and informative narrative, Dellinger catalogs his year spent on this unorthodox diet, revealing insights about the science of fermentation, as well as its cultural history, culinary value, and nutritional impact along the way. He goes beyond yogurt and sauerkraut to show us how fermentation occurs in a wide range of foods we might never have expected, and is at the root of many unique delicacies around the world. From foraging for living bacteria in the modern American grocery store, to sampling mucousy green Century Eggs in Chinatown, to an epic winter quest to Iceland for rotten shark meat, Dellinger investigates a realm of forgotten foods that is endlessly complex and surprisingly flavorful. And despite our collective aversion to bacteria, Dellinger’s experience and research reveals that it is these same microbes that may hold the key to our health and diets. 3 Weirdest things that Derek ate over the year. [10:51-17:50] Note: This clip was filmed/recorded with my cell phone so you may need to raise your volume while listening to it. After sharing an overview of his book and answering questions about eating fermented foods Derek discussed the fundamentals of vegetable fermentation and then gave a quick demonstration of preparing vegetables (carrots in this case) for fermentation. All while discussing some of his favorite vegetables to ferment and then eat. Before wrapping up this event Bitter and Esters owner John LaPolla asked Derek to talk about his journey from being a homebrewer to becoming the brewmaster (head brewer) at Kent Falls Brewing Company. In turn, this video includes Derek’s brewing history, the history of Kent Falls, the development of and inspiration behind its lineup of beers, the brewery’s integration of agriculture into its brewing practices, and plans for the development of its barrel program. Soon after moving to New Jersey from New York City I joined the award winning WHALES homebrew club and was eager to get to know the New Jersey homebrewing scene. So when I found out about the Motown Mash homebrew competition, I quickly chose four of my beers to enter into my first NJ based competition. 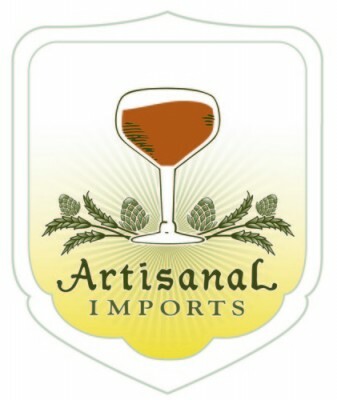 Judging was completed and results were announced on Saturday October 22nd and in the end my Innkeeper English barleywine took both gold in the Strong British Beer and Barleywine category and my First Fruits Quadrupel took gold in the Belgian Dark Strong Ales category. In the days following Motown Mash while discussing the results with the WHALES club officers, I presented my idea of giving a presentation on brewing high gravity (“big”) beers at the club’s November meeting and they enthusiastically gave me their permission to do so. In preparation for my presentation I put together a handout which I split into two parts. The first being a list of general tips and strategies for homebrewing high gravity beers and the second being an in depth look into how I brewed both Innkeeper and First Fruits. Below I’ve included the handout and the audio from my presentation, which went better than I expected. Careful Recipe Formulation – When using commercial examples and clone recipes in order to create your recipe and envision your their ideal finished product pay close attention to the percentage of each specialty malt/grain in your recipe in order to make sure that you can take variables such as your average mash efficiency, mash pH, constraints of your brewing equipment, the intensity of the flavors that each malt/grain will contribute, and wort color and fermentability into account. Examples: 1) Using too much roasted malts can lead to astringency and acrid roastiness. 2) Using too much crystal/caramel malts can lead to a overly sweet beer even if you hit your target final gravity. Managing the mash (larger grain bill): Factors to account for include 1) Size of your mash tun (substitute some of your base malt with malt extract or evenly split grain bill into 2 mashes* (*may work better if you scale your recipe down to half your target batch size using your brewing software to make sure you can hit your target pre-boil gravity) 2) Keep DME on hand to adjust pre-boil gravity as needed. Speaking from experience, even if you’ve already lowered your target brew house efficiency when creating your recipe in Beer Smith etc. your mash may not go as smoothly as you hope it will so keep at least 2 lbs of DME on hand. 3) Keep your grain/water ratio low (1.25-1.5qt) so that you’ll have enough water to sparge as much sugar out of your grist as possible. 4) My mash/sparge process – Heat up mash tun with strike water, dough in, dial in pH with salts/minerals, saccharification rest (75 minutes), vorlauf, collect first runnings, add mash out water to bring temp up to 168F, 10-15 minutes rest (quasi batch sparge), vorlauf, collect second runnings, fly sparge once there is 1 inch of wort over grain bed until collect boil volume. 5) Mash temperature – while you may want a full bodied barleywine or imperial stout your wort needs to have high fermentability in order for the yeast to attenuate down to your target OG. Therefore, I’d recommend mashing between 148F and 152F and adding flaked oats and or barley to beers that you want to be full bodied. Note: Caramel/crystal malts can also help with body, but should still be used in moderation. 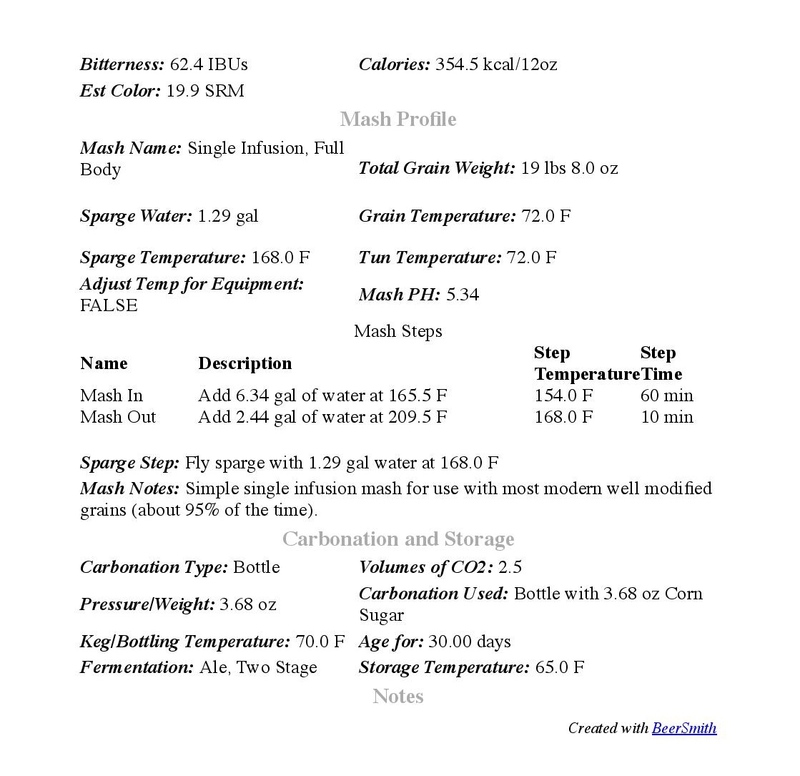 Boil off rate – Of course it’s good to be familiar with all aspects of your brewing equipment, but when brewing higher gravity beers making sure you calculate your target pre-boil volume based on your average boil rate. Doing so will increase your chances of reaching your target original gravity exponentially. Yeast starters – I’ve found it easier to make a 2-5-3L starter with 2 Wyeast smack packs (stir plate for 18-24 hours) rather than stepping up my starters. Due to the larger size of high gravity beer starters making them in advance will give you time to cold crash and decent some of your starter wort/beer in order to avoid diluting your wort and or not having enough head space in your fermentation vessel. Fermentation Management – 1) Aerate well prior to pitching your yeast starter. Some say to aerate (or add pure oxygen) again on day 2 or 3 to encourage yeast reproduction during active fermentation. 2) Start in the lower end of the temperature range for your chosen yeast strain to prevent too much blow off during the first 2-3 days of primary fermentation then raise slowly as fermentation shows first signs of settling into its active rhythm (producing lots of CO2 without a ton of blow off foam). 3) Raising the fermentation temp at the right time will increase your chances of reaching your target FG (especially with Belgian beers). 4) Though I’ve never done it, adding extra yeast nutrient towards the end of the boil or with your second sugar addition may help keep your yeast happy. 5) For my higher gravity beers I usually do a 3 week primary fermentation followed by 1 month of conditioning in the keg or in bottles. 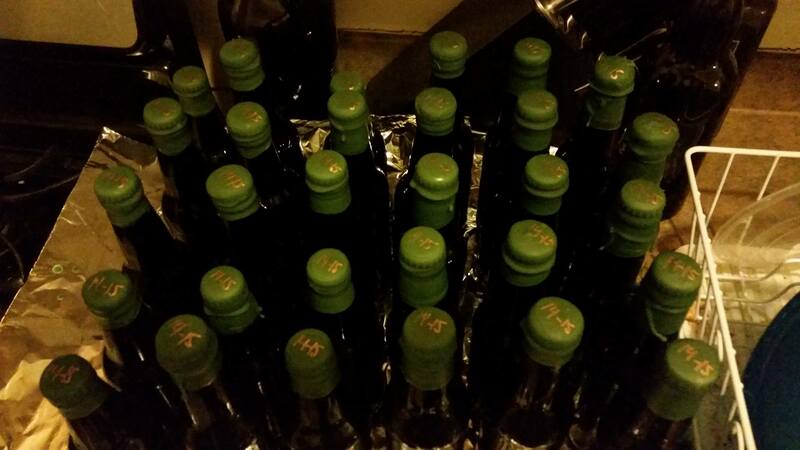 5) FermcapS is your friend – use it to prevent coming home to a fermentation mess. 6) Sugar adjuncts – when brewing high gravity Belgian ales I split my candi sugar additions between the last 10 minutes of the boil and day 3 of fermentation to encourage attenuation / yeast reproduction. Priming Sugar – While some may choose to bottle from the keg in order to prevent bottled bombs due to the higher than average FG of big beers (e.g. barleywines and imperial stouts). If you choose to bottle condition less is more i.e. use less than is recommended based on the amount that is recommended for the beer style that you are bottling or volumes of CO2 you’re aiming for. Note: Belgian beers like tripels and quadrupels are an exception due to their lower FG and tendency to be bottled in bottles than can withstand the extra CO2 pressure of bottling conditioning (bottle re-fermentation). Aging Time – 1) The melanoidins, hops, alcohol content, and residual sugars will help in your malt forward “big” beers age will. However, just as with craft brewed beers that fall under this category homebrews can fall victim to oxidation when the seal created during bottling begins to break down or loosen. Therefore, I’d recommend sealing your bottles with bottle sealing wax or one of the cheaper alternatives many homebrewers use (e.g. paraffin wax or glue sticks melted with crayons) in order to minimize oxidation rates. 2) Make sure to keep the beers that you are aging in a cool space which maintains a fairly constant temperature range. Note: A beer’s rate of oxidation doubles for every 10 degrees Celsius above freezing. Therefore, keeping your beers as close to 32F or at least at cellar temperature (50-60F) will allow them to age without you having to worry about them succumbing to the effects of too much oxidation. 3) However, every beer is eventually going to hit its prime and its flavors will become one note and more mild. As such, in my opinion the 2 year mark should be your cut off point for deciding whether your beer/s will benefit from further aging or not. 4) Oak aging – While I won’t go into depth here I’ll note that in terms of length of time for aging chips impart their flavors within a week while cubes and spirals can take 3-5 weeks to impart their flavors. In turn, after a week of aging on oak (any format) you should taste your beer to make sure it’s not being taken over by oak/wood flavors. 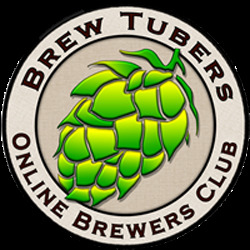 English Barleywines – While both of the barleywines that I’ve brewed since I started brewing more consistently in 2013 have won ribbons in homebrewing competitions, their brew days, fermentations, and bottle conditioning did not go as smoothly as I would have liked. However, through experiences their ups and downs I’ve learned a lot about brewing English barleywines. Key Factors: 1) Deciding whether to use caramel/crystal and other specialty malts to add malt complexity vs using only maris otter and either a decoction or extended boil. 2) Use an English yeast strain with a higher than average attenuation rate. For example, while I used Wyeast 1968 (67-71%) in my second barleywine (the one being poured at this meeting). I could have used Wyeast 1098 (73-75%). 3) As noted above, while oxidation may benefit this style, your barleywine will most likely age better if you wax seal your bottles. 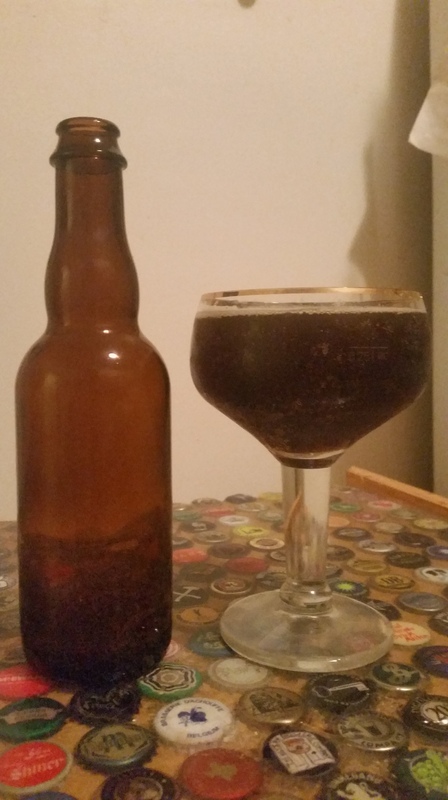 Innkeeper Barleywine: What I did, what didn’t go as planned, and what I would do differently next time. What I did: A) As you’ll see in my recipe, I decided to use caramel/crystal and 2 other speciality malts to build my barleywine’s rich malt complexity. B) To put my own twist on a traditional English Barleywine I chose to use American hops. C) Instead of using a yeast strain with a higher attenuation rate I used one that I’d heard accentuates malt character. D) Mashed (single infusion) at 154F instead of mashing in the 150-152F range. E) 3 week primary fermentation followed by secondary fermentation / aging in bottles. F) Bottle conditioned the finished beer instead of bottling from a keg. What didn’t go as planned: A) I missed my target pre-boil gravity and therefore added 1.25 lbs of DME B) Despite doing my boil off rate was not high enough (or I collected too much wort) and I missed my target original gravity by 7 points C) I meant to use Chinook for bittering, but accidently used Centennial. D) Due to my overestimating how much beer was in my bottling bucket I used too much priming sugar and the beer over carbonated and developed some oxidative off flavors. In order to do my best to “save” the beer I put the rest of the bottles into my fridge for a couple weeks to stop the beers from further carbonating. I then wax sealed them for aging. What I would do differently next time: A) In order to balanced out the beer’s malt character I may take out the Vienna malt and replace it with more Maris Otter pale malt or DME and also use a bit less caramel/crystal 80L. B) Rather than mashing at 154F I’ll mash in the 150-152F range. C) Make sure to lower my target brewhouse efficiency and adjust my grain bill accordingly. D) Make sure to collect just enough wort i.e. 7.10 gallons as per my boil kettle’s boil off rate and the 90 minute boil. E) While the yeast(/beer) attenuated down further than my target FG I may use a more highly attenuative yeast in order to increase my chances of achieving a complex yet not too sweet finish malt character. F) If I decide to bottle condition again I’ll make sure to use less in order to avoid over carbonation. 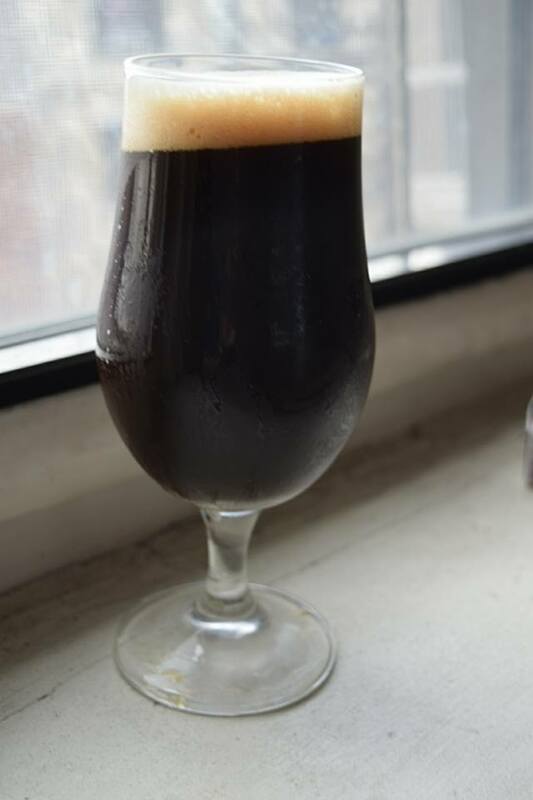 Belgian Quadrupel – Out of all of the “big” beers that I’ve brewed over the past few years, the brewing/fermenting/bottling of my quadrupel went the smoothest. 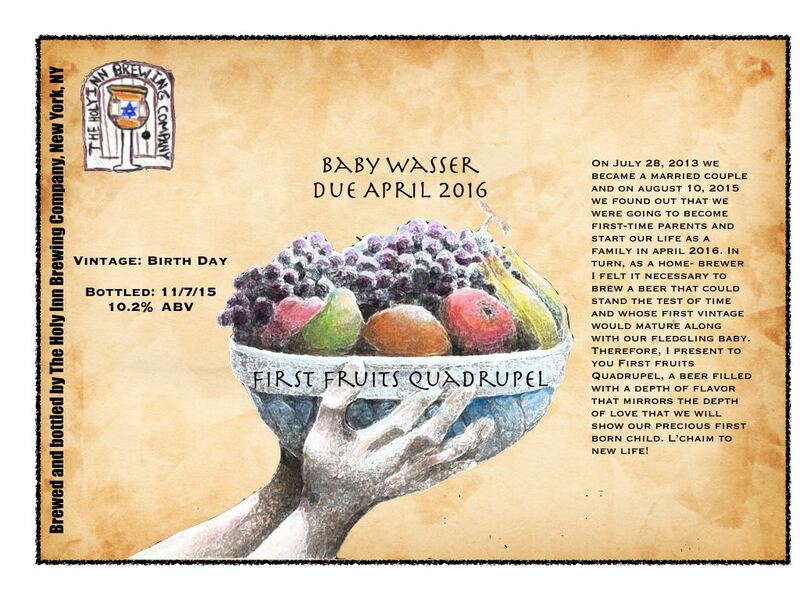 Brewed as the first vintage of the quadrupel that I plan to brew each year to celebrate my wife’s and my firstborn daughter, I used clone recipes of a number of Trappist and abbey quadrupels to create my recipe. With each brew day and finished beer being a learning experience, the following is what I learned from brewing my first quadrupel. Key Factors: 1) Deciding whether to use dark candi sugar as the primary contributor of the dark fruit and other flavors and aromas that are commonly found in quadrupels and Belgian strong dark ales or to blend the dark candi sugar with specialty malts such as Special B and Caramunich to create them along with a well rounded complexity. 2) Use noble hops like Hallertau and Tettnang to complement yeast phenols. 3) Choose a yeast strain that will likely produce the flavors and aromas that you’re looking for. Most Belgian yeast strains can handle high gravity wort. 4) Mash low (148-150F) to create a highly fermentable wort. 5) In order to create a balance of both phenols (spiciness) and fruity esters you can either do a ferulic acid rest at the start of your mash and then ferment high from the start or ferment in your yeast strain’s lower temperature end range to start and then slowly ramp up the fermentation temperature. 5) In order to encourage an active first few days of fermentation I’d recommended pitching at 68F and fermenting between 68F and 71F for the first few days i.e. when most of the yeast’s attenuation of the wort is done and then slowly raising the fermentation temperature to the 73-75F range (or higher if desired) to encourage more attenuation and the formation of fruity esters. 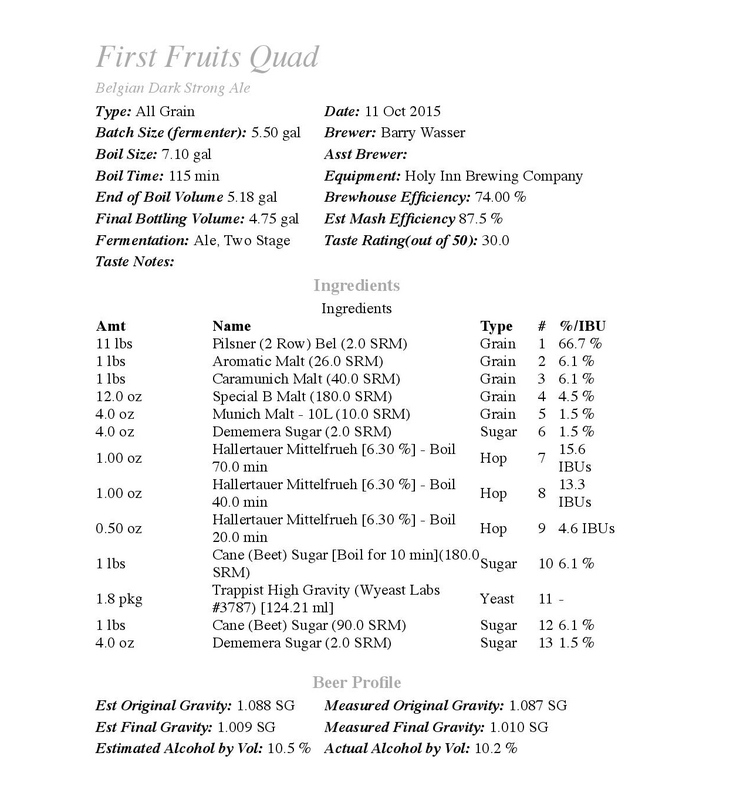 First Fruits Quadrupel: What I did, what didn’t go as planned, and what I would do differently next time. What I did: A) I chose to use both dark candi sugar and specialty malts (see recipe below) to create a balanced complexity of the flavors and aromas that I hoped would be present in the finished beer. B) I used only Hallertau Mittelfruh hops and my go to Belgian yeast, Wyeast 3787 Trappist High Gravity. C) In order to create a complex candi sugar character I used a combination of D90 syrup, D180 syrup, and demerara sugar. D) Then in order to encourage the yeast to not put all of its focus on the simple sugars during the initial days of fermentation I chose to add the D180 and half of my demerara sugar with 10 minutes left in the boil and then add the D90 and the remaining half of the demerara sugar on the morning of day 4 of fermentation (raised the fermentation temp afterwards). E) The highest I took the fermentation temperature was 74F during the beer’s 3 week primary fermentation. F) Waited a month after bottling (used thicker Belgian bottles) before opening a bottle because high gravity beers tend to take longer to carbonate. What didn’t go as planned: A) After 1 week of fermentation I eagerly took a gravity sample and it read 1.020. Luckily a fellow homebrewer told me that sometimes Wyeast 3787 takes its time when attenuating down its last 10 points and I in turn raised the fermentation temperature, roused the yeast, and waited another week before taking another sample. As my homebrewing compadre predicted my 2 week gravity sample read 1.011. B) While the beer turned out tasting and smelling really good; good enough to win gold in the Motown Mash competition, I would have liked there to be more fruity esters and spicy phenols present in the aroma and taste. C) Due to my use of Aromatic malt along with other specialty malts the beer finishes a bit sweet despite it’s 1.010 FG and is has a somewhat fuller body than some of the Trappist quadrupels that I’ve tried. What I would do differently next time: A) I’ll use less Aromatic and Caramunich malts and add more of the simple sugars in order to encourage faster attenuation and a less full and sweet body. B) I’ll mash at 149F to create a more fermentable wort C) I’ll raise the fermentation temp higher and sooner to encourage the production of more fruity esters. D) I’ll most likely do a ferulic acid rest instead of starting the fermentation in my chosen yeast strain’s lower temperature range in order to encourage the production of spicy phenols. E) I may switch to a yeast strain that has a higher potential for producing noticeable phenols and fruity esters. On Sept 1 my wife, daughter, and I moved to NJ and have slowly been settling into our new apartment. In this first update video I do a quick review of my doppelbock which has been aging in its keg since February. Then I talk about my two most recent beers (dark sour and black rye IPA) all while describing how amy first NJ homebrew club meeting went. Finally I talk about how I moved my keezer and kegs to my new apartment and what my plans are for hanging up my various pieces of beer decor. Fast forward four weeks and while I did not brew again I have exciting news to share in my second update video. After a brief intro I do a quick review of my black rye IPA aka Self Righteous Wookey version 2. Then I share the aforementioned excing news aka the results of Motown Mash, my first NJ based homebrew competition which I took place on October 22. To wrap things up I discuss my upcoming brews and transition into a “show and tell” clip where I show off the newest addition to my beer decor and Jaded Brewing wort chiller. Bitter & Esters welcomes Derek Dellinger, the Fermented Man! Bitter & Esters (700 Washington Avenue Brooklyn NY, 11238) is excited to welcome Derek Dellinger, author of The Fermented Man (and head brewer at Kent Falls Brewing) to our store on Thursday, November 10th at 6:30pm. Derek was one of our earliest customers when we opened back in 2011 and we are proud that we could be there to help him down the wonderful rabbit hole that is brewing. Derek’s book focuses on his epic year-long quest to survive on nothing but fermented foods and beverages. He cataloged his journey in a book that is part memoir, part science experiment, and part cookbook. Just like brewing beer, it’s an exploration into a world of food that is endlessly flavorful and complex. 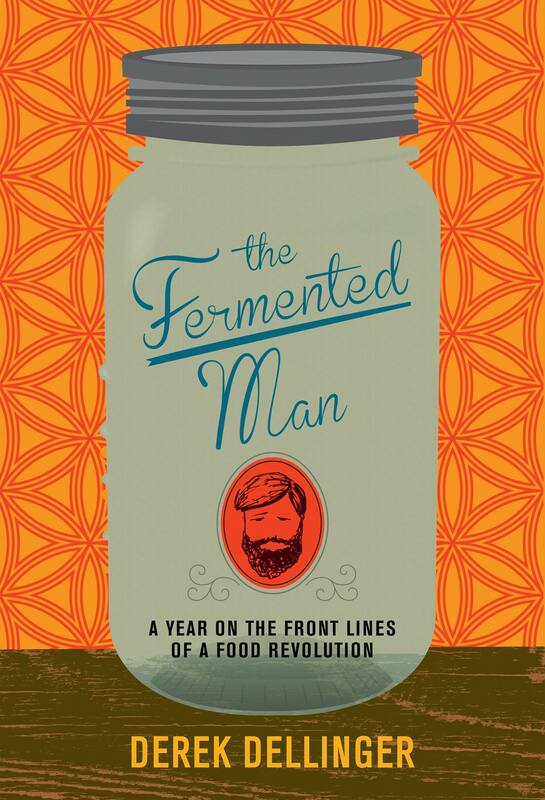 Derek will be speaking about and signing copies of The Fermented Man and will have a small fermented food demo to show everyone just how easy it is. He’ll be discussing his experience at Kent Falls Brewing and will have some of their beers for sampling. This free, one of a kind event promises to be a fun and inspiring evening. Space will be limited. 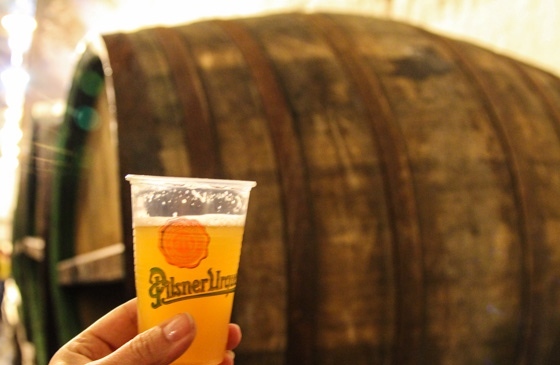 Happening throughout November to commemorate 174 years of Pilsner Urquell, droves of unpasteurized, unfiltered Pilsner Urquell is being flown in straight from the brewery in Plzen, Czech Republic. The celebration’s flagship unpasteurized, unfiltered event is being held in Brooklyn on November 10th (next Thursday evening) at Radegast and Pilsner Urquell representatives on the ground to educate consumers on the brand’s history, its current efforts in the U.S. and the three distinct ways to pour Pilsner Urquell. *Note – Dates/Venues are still being finalized due to limited availability and very high demand so we ask that readers inquire with respective venues, or follow up via ourFacebook page for more information. We will provide concrete dates as soon as they become available. Additional events are being added specifically in Minnesota (4), Wisconsin (8) and throughout the other cities/regions already noted as well. After an almost four month hiatus from homebrewing due to the birth of my daughter I decided to brew two 5 gallon batches from one grain bill, an IPA and a saison. To make each of them unique I chose a hop combonation and yeast strain that I’d never used before for the IPA and a yeast blend and hop that I had only used once in the past (Mandarina Bavaria) for the saison. Overall, I’m pretty happy with the results and will definitely be brewing these recipe/s again and also looking for other styles that I can brew split batches with. 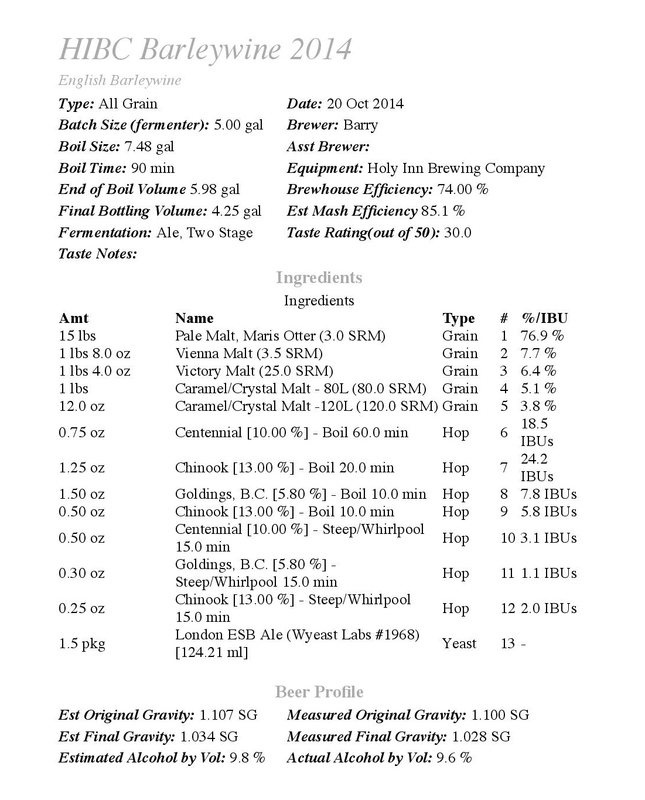 Below are the specs of my recipe/s and tasting notes on each beer. Feel free to comment on this post with any questions about my recipe, brewing processes, and the finished beers. Cheers! Mash Temperature: 150F for 70 minutes followed by a 15 minute mash out and fly sparge to collect 13.25 gallons. Note: From this point on these two brews officially went their own way. Therefore, I’ll list the hops and yeast/fermentation information along with each beer’s tasting notes. Wyeast 1318 London Ale 3 1 smack pack in a 1 liter starter / Fermented at 65-67F for 3 days, 66-68F for 4 days, 67-69F for 2 days, and finally 65-67F for 3 days). Aroma (9/12): Mostly white grapfruit flesh and pith coupled with a balanced resiny dank ness. Hints of papaya and peach surfaced as beer warmed. No malt to speak of. 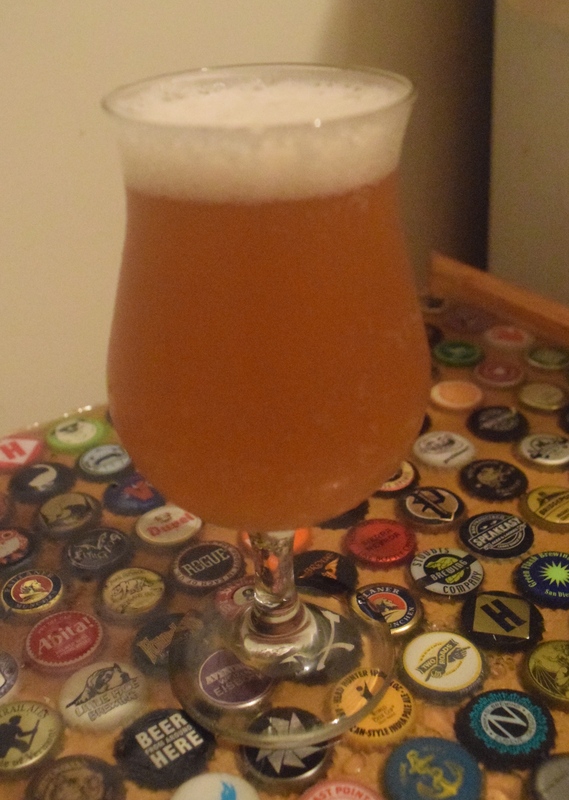 Not as overtly juicy as I expected both for this NE style IPA sub-style and from the double dry hopping method that I used (see above). No off aromas. Appearance (3/3): To “sub-style”. Poured a pale straw in colour with a 1.5 finger white head which lingered as a cap over the top of the beer until I finished this glass. Nice amount of glass lacing. Cloudy body (cloudier on top than towards hte bottom of the glass), but not murky. Taste: (15/20): Follows the aroma quite well with white grapefruit and hop dankness throughout. As the beer warmed the grapefruit notes faded and peach and papaya were quite apparent and added a pleasant amount hop juiciness to the beer’s overall flavor profile that at times seemed a bit one-note. Clean bready malt in the finish with hints of honey/biscuit malt sweetness towards the end of the glass. Minimal lingering bitterness. Some hop spiciness left on palate. No off flavors. Mouthfeel (3/5): Smooth medium body with a medium level of carbonation. Very balanced. Could be a touch more creamy and bitter for this IPA sub-style. Hint hop astringency in finish. 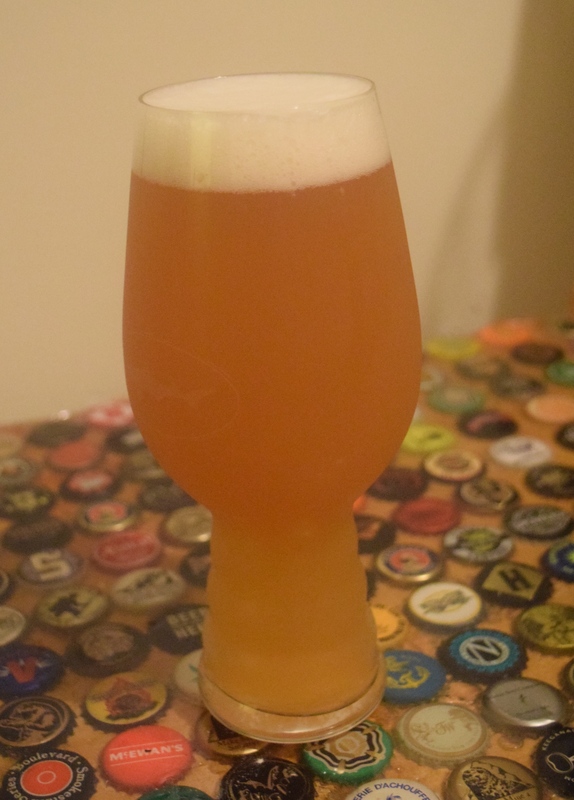 Overall (7/10): While it took a bit longer than I would have liked for this IPA’s hop character to develop in the keg I’m pleased with the final product. In future iterations I’ll aim for a bit more hop complexity, pungency, and bitterness. Because I used some pecialty malts that are not normally used in this substyle a simpler grain bill may let the hops shine in the way that I orginally hoped they would. 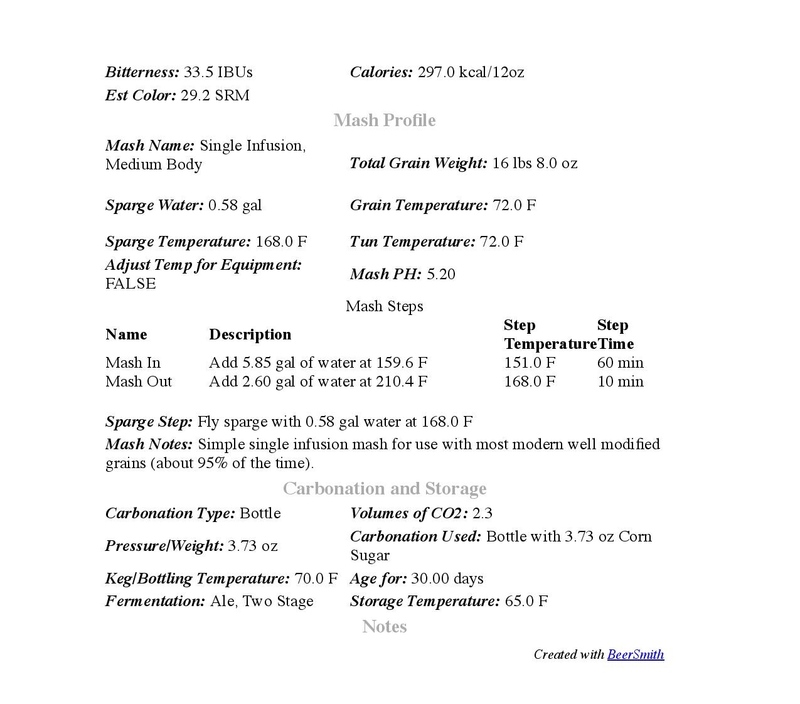 For my first time using Wyeast 1318 London Ale 3 I am quite pleased with its contributions (esters, soft mouthfeel) to the finished beer, but I’ll definitely need to monitor the sulfide to chloride ratio and ph more closely to achieve the results that I look for in a New England style IPA. Lastly, I would like to use hop combo again with my “house IPA strain” aka Wyeast American Ale II. 2 oz Mandarina Bavaria (6.8% AA) added to keg and left outside keezer for one day before being placed in inside and carbonated. Staying in keg. Aroma (9/12): Mix of orange and lemon citrus notes from both the dry hopping and yeast esters along with some floral notes and phenolic spiciness. Really nice overall balance of hops and yeast, especially for this yeast forward style. No malt character or off aromas, but some booziness surfaced as the beer warmed. Appearance (3/3): Bright orange to light gold in color with 1.5 finer head which dissipated quickly but left an attractive amount of glass lacing behind. Carbonation streaming up the sides of the glass. Because of the dry hops this beer turned out a touch cloudier than I would have liked, but I couldn’t bring myself to deduct a point for it. Taste (16/20): Follows the aroma almost seamlessly with the same balance being present throughout. While not as overtly bright and citrusy as other varieties the Mandarina hops add a citrus character that both enhanced and tamed the beer’s yeast character which was quite dominant prior to dry hopping. As a result the saison character (phenolic and herbal spiciness) was present mainly the the finish which lingered on my palate. No off flavors, but a noticeable boozy flavor detracted from my enjoyment at the time of typing these notes. Mouthfeel (4/5): Serving this beer at 13 PSI was definitely the right decision. 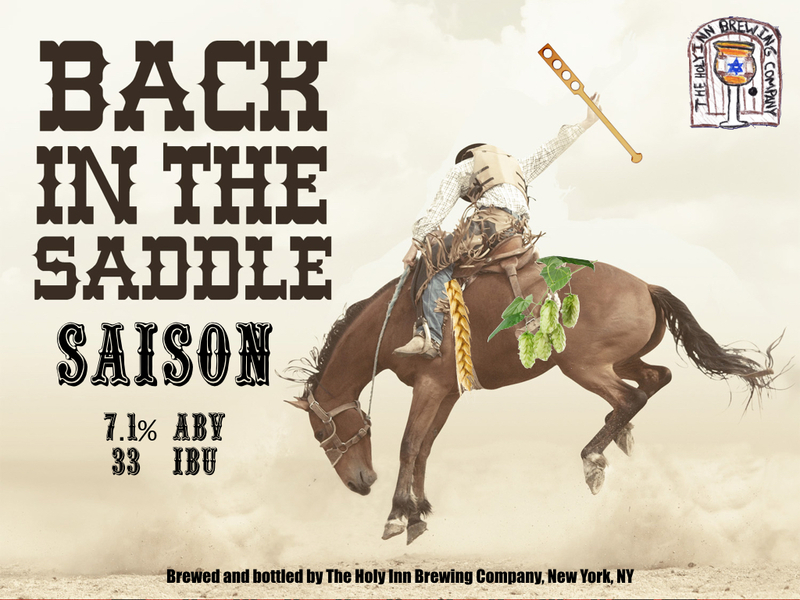 While the oats and wheat gave this beer a bit more mouthfeel (medium bodied) than is typical for a saison the added carbonation added drinkability. As in the taste, there boozy note/s weight down on my palate enough to make me take a point off from an otherwise drinkable and smooth beer. Overall (8/10): At first I hoped this beer would be a showcase for the Yeast Bay’s Saison Blend II. However, due to my fermenting this beer without any temperature control I went in a different direction and chose to aim for a balance of Mandarina Bavaria hops (only my second time using this varietal) and saison yeast. With no off flavors or aromas the only things I’d change with this beer are taking out the oats to lighten the mouthfeel and fermenting the wort/beer in my fermentation fridge to keep the yeast from becoming too dominant. Click picture to view my photo album from this visit (7/31). To celebrate our anniversary my wife and I decided to check out one of our favorite New Jersey breweries, Carton Brewing Company (Atlantic Highlands, NJ). While there I was fortunate to be able to chat with Carton’s founder Augie Carton. Being that his brewery is known for brewing flavor packed, hoppy, sessionable, and creative beers I took this opportunity to not only discuss Carton Brewing and it’s beers, but also pick Augie’s brain about topics such as the growth of New Jersey craft beer and the New England style IPA craze. Looking back on Carton Brewing’s first 5 years. RUB – 5th anniversary dry rubbed smoked porter. The growth of New Jersey craft beer since Carton’s opening. 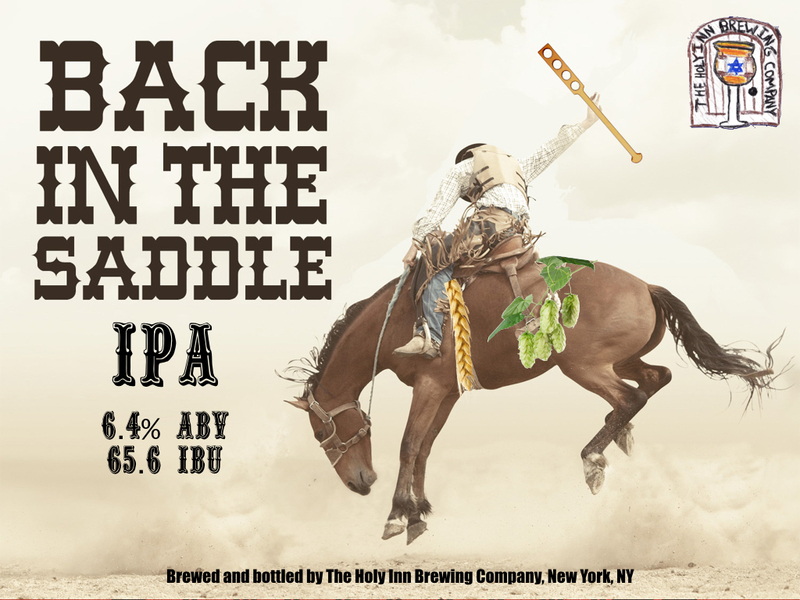 Augie’s opinion/s on the recent New England style IPA craze and his approach to brewing hoppy beers. Carton Brewing’s year round line up and rotating specialty / one-off beers. At Carton Brewing Company visitors are guided on a quick tour of the brewery prior to being led up to the tasting room where they’re given the option of purchasing tasting flights which include a 4oz sample of the brewery’s flagship beer, BOAT beer and 5 poker chips which can be redeemed for five additional 4oz samples of beers that they have on tap. As you may have seen in the above video and or photo album I tried 5 beers in the taproom and a can of RUB during the interview…For this post I’ve chosen to share very brief comments on and ratings of each beer that I tried instead of full reviews. HopPun – Sweet tropical fruit throughout, balanced by moderate bitterness and a smooth malt backbone. 7/10 – good beer, but I didn’t enjoy the hop flavors enough to say I’d order a full glass. RUB – Because I was drinking it before its official release I had to quickly finish the can while taking photos after my interview of Augie. In turn, I wish I would have been able to sip this beer for long enough to fully appreciate its unique qualities. I will note that during this drinking experience the spice rub became a bit too dominant for my tastes and I therefore can not see myself drinking this beer without pairing it with barbecue. 6.5/10 – I hope I can try this beer again soon. Thanks to Augie and his team for making this visit so enjoyable for both me and my wife. Cheers! While it is not recommended for breastfeeding mothers to drink alcoholic beverages there are studies that say drinking stouts (dark beers) and consuming brewers yeast can increase milk supply. In turn, I set out to brew a tongue in cheek lower gravity stout that my wife and I could enjoy while transitioning to becoming first time parents. One challenge that I faced was incorporating all of the grains that I hoped to use into the beer’s recipe while making sure to not let the target original gravity go over 1.050. As a result the beers color (described below) was affected the most and in the future I’ll have to figure out a different balance of the specialty and base grains. 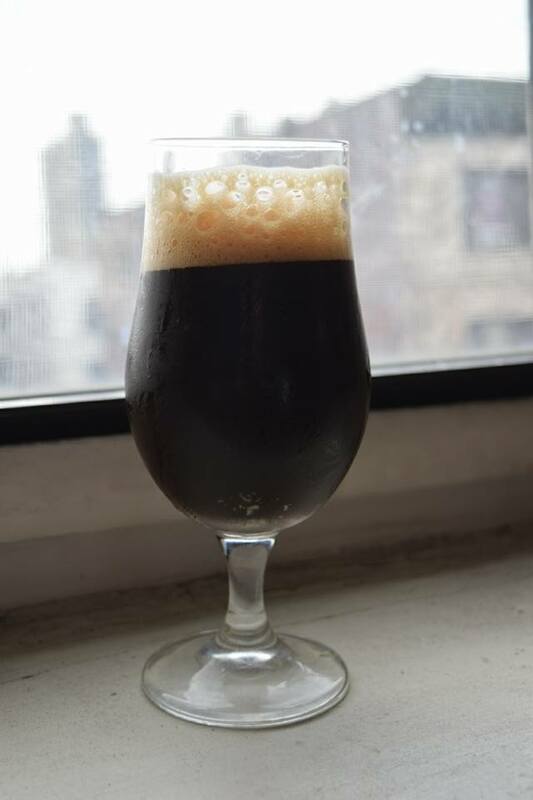 Lastly, my goal for this beer’s flavor was to blend the sharp (sometimes astringent) roasted malt character of an Irish dry stout with the smooth chocolate character of an English oatmeal stout. Mash Temperature: 152F for 70 minutes follow by a 15 minute mash out and fly sparge to collect 7 gallons. Fermented at 65-67F for 10 days then slowly raised to 70F for a total of 2 weeks of primary fermentation. 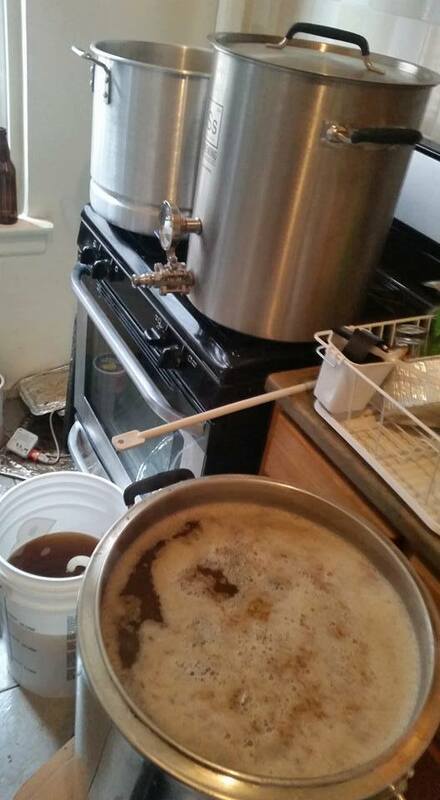 * Due to overshooting my target pre-boil gravity I shortened my boil time to 50 minutes. Though despite doing so I still overshot my target original gravity by 3 points and therefore achieved a higher brew-house efficiency than I originally aimed for. Note: Having been brewed in March these tasting notes are not 100% accurate in terms of how this low gravity (abv) beer turned out). Therefore, I’ll try my best to include anecdotes about how I perceived its characteristics when it was fresher. Aroma (9/12): Very straight forward for the style with notes of roasted barley, coffee, semisweet chocolate, and a hint of astringency. No off aromas. Appearance (2/3) : Poured a medium to dark brown with an almost opaque body and light brown (khaki head) that dissipated quickly and left minimal lacing. Light in color for style especially when looked it in day light. Taste (14/20): At first the roasted malt character was the most dominant flavor. However, after a few sips a fair amount of semi-sweet chocolate (milk chocolate) and caramel (Fantasia hops?) mixed in and were followed by a pleasant hint of astringency (like in many Irish Dry Stouts). As the beer warmed up its age showed more some sips being sweeter (less roasty) and a bit more muted than others. No obvious off flavors. 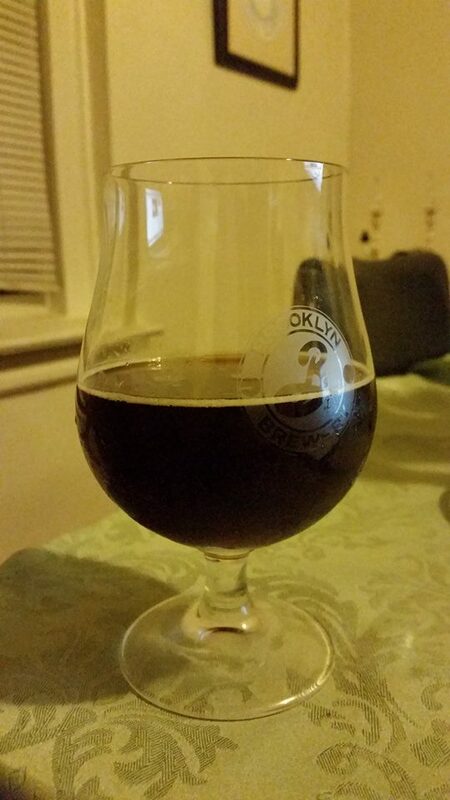 Mouthfeel (3/5): Smooth and medium bodied, but not as creamy as the oatmeal stout style calls for. Slight astringency lingers, but not as much as other irish stouts. In its merit this beer was/is quite drinkable especially when it was fresher. Overall (7/10): Other than age this turned out quite good for a (my) first attempt at low gravity (dare I say sessionable) stout. After adding a bit more Calcium Carbonate than I would have liked I was afraid that the roastiness of the darker grains wouldn’t come through, but it did. As eluded to above future iterations will need both a balance of specialty and base grains and boil volume and time which have the ability to create a darker / more stout like color. One that’s not the lower end of the SRM range for the Oatmeal Stout and Irish Dry Stout styles. In addition, more oats and a bit higher mash temperature should help add more heft and creaminess to the beer’s body.